I like it. Has a nice cozy feel to it. Anyway, onward and upward. For those of you not familiar, Night Mode is simply a display setting for devices that adjust the color emitted from the screen to make reading and viewing easier on the eyes in low light or when you are using your device for extended periods of time. Many of you may be familiar with this feature on mobile devices especially if you are an iOS user. “Night Shift”, as Apple calls it, was introduced in early 2016 and since that time many third-party apps and extensions have launched to duplicate night mode on various operating systems. Prior to that, f.lux software was the primary way to adjust color temperature on your display. Problem was, it didn’t work for Chrome OS. Hence the aforementioned, third-party applications. 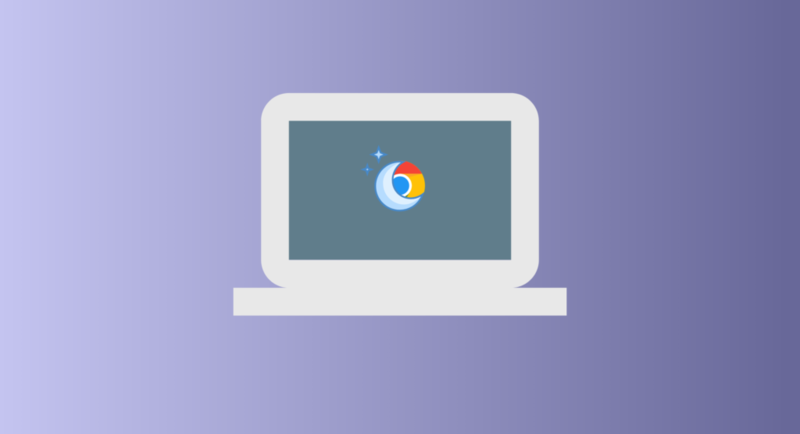 Last year, the Chrome OS team started tinkering with a “Night Light” for Chromebooks and slowly but surely, it made its way to the Stable channel of Chrome OS. Despite being a much-desired feature by many users, the Night Light is still hidden behind a “flag” so below are the steps to enable night mode and what you can do with it after you have. We can get the basics out of the way first. Obviously, you will want to have your Chromebook or Chromebox powered on and connected to a network. From there, these steps will only take you a couple of minutes. To the right of the “Enable Night Light” flag, click enable. That’s it. Now you should see the Night Light icon in the system tray in the bottom right corner of your screen between the help and lock icons. Go ahead and give it a try. When you click it, you should see your display shift to a soft, yellowish hue. If a little more customization is your style, there’s more you can do with your new-found feature. Head to the settings menu either through the system tray or by typing chrome://settings in the url bar. Whichever you prefer. Scroll down to displays under the device category and give it a click. You should see some new setting that will allow you to adjust the color temperature to your liking as well as set a timer for the Night Light to do its thing automatically. With so many new users coming to Chrome OS, this is one of those features that many will benefit from in numerous use-cases. Again, I don’t know why the Night Light hasn’t become a standard feature but it’s good to know that it’s there if you need it. Hope this helps. Looking for more tips? Drop a comment below and let us know what kind of Chromebook how-tos you’d like to see here on Chrome Unboxed and we’ll do our best to make it happen.